COME ENJOY A LIFE CHANGING EXPERIENCE WITH US! 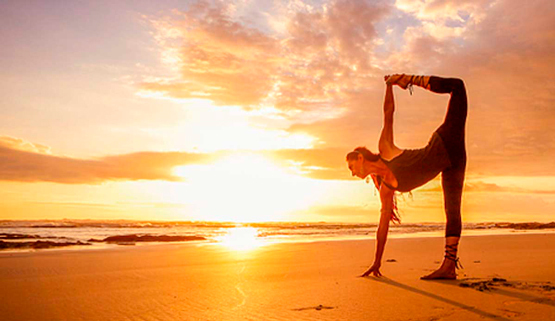 LEARN SPANISH, TAKE SURF LESSONS, & PRACTICE YOGA IN PARADISE. While feeling at home, meeting new people, discovering the beautiful nature, learning more about the culture and the way Costa Rican people enjoy the PURA VIDA! 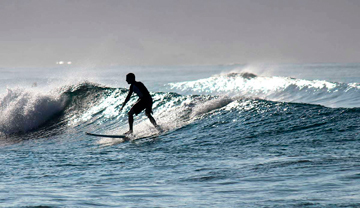 Our Spanish School and Surf camp is located in front of the beach and surrounded by a natural reserve. We have a unique location that give us privacy and the best ocean view ever! Perfect Sunset School is not an industrial surf camp. Here you will change the way you see life. 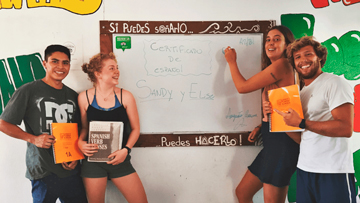 Our surf camp and Spanish school is famous for providing great accommodation and amazing surf and Spanish experience, but more than anything Perfect Sunset School staff have one major goal; to enthusiastically share our love and knowledge about Costa rican culture, Spanish language and surfing! Our school is sorrounded for a natural reserve so you can chill in one of our different areas like our pool with ocean view. Feels like family! Don’t miss this chance to learn Spanish and have an incredible time in wonderful place! 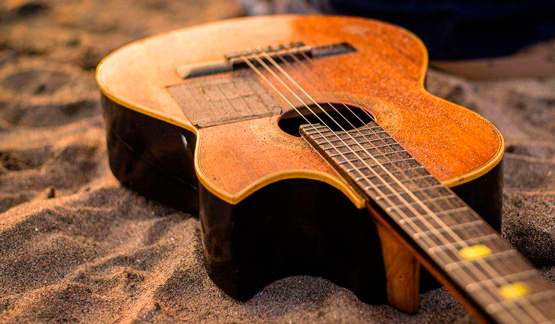 Amazing and authentic place to spend a great time learning Spanish, surfing, doing yoga and making new friends! Contact us, it will be a pleasure to serve you. Request a callback. We’ll call you back within 2 hours on a normal working day. Make an inquiry. Let us know how we can help you. The Perfect Sunset Spanish and Surfing School is very well located. We are in Playa Hermosa, Santa Teresa town.